Toddy palm plantation. 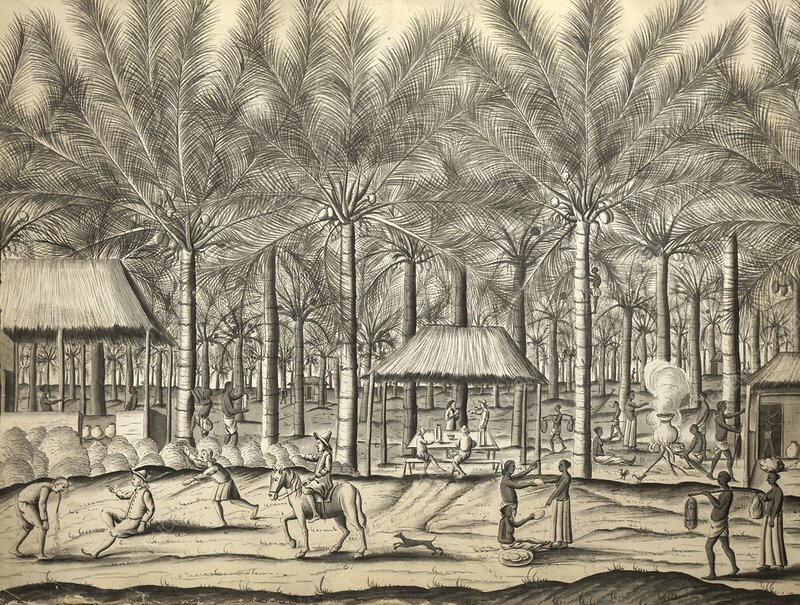 Drawing by Paul Hermann from 'Specimens and drawings from Ceylon. Vol 5' (1672-1677).